This two-story sailboat-access pool home is truly amazing. 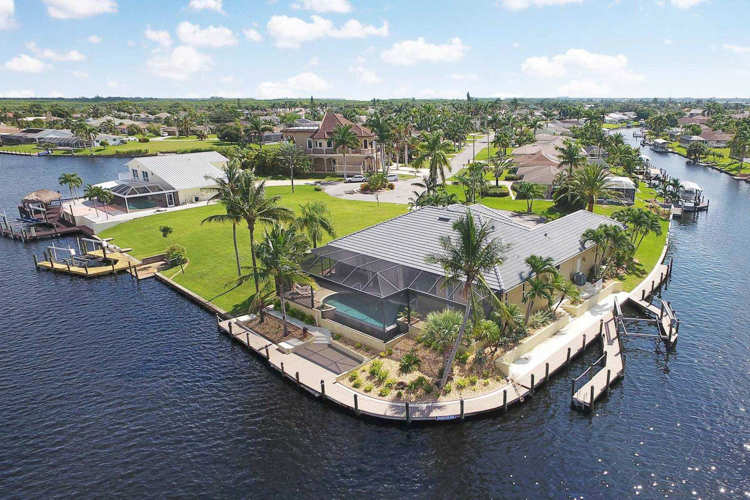 Located just off Bimini Basin straight out to the Caloosahatchee River. 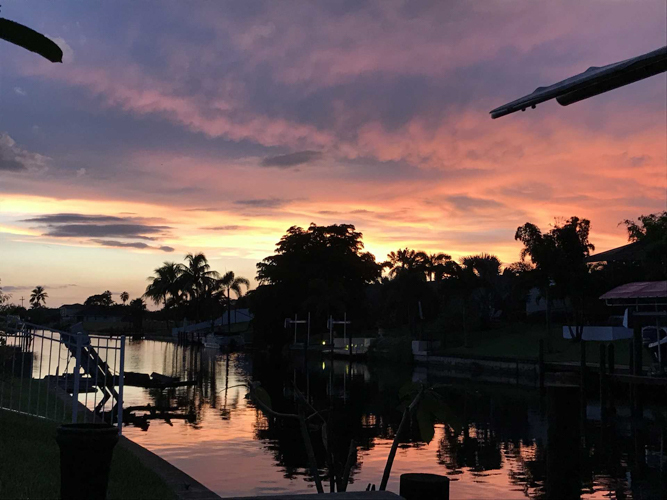 Villa Sienna is in Southeast Cape Coral, minutes away from downtown Cape Coral with its amazing restaurants and shopping. The white beaches of Sanibel Island, Captiva and Fort Myers Beach can be comfortably reached from here by car or by boat. 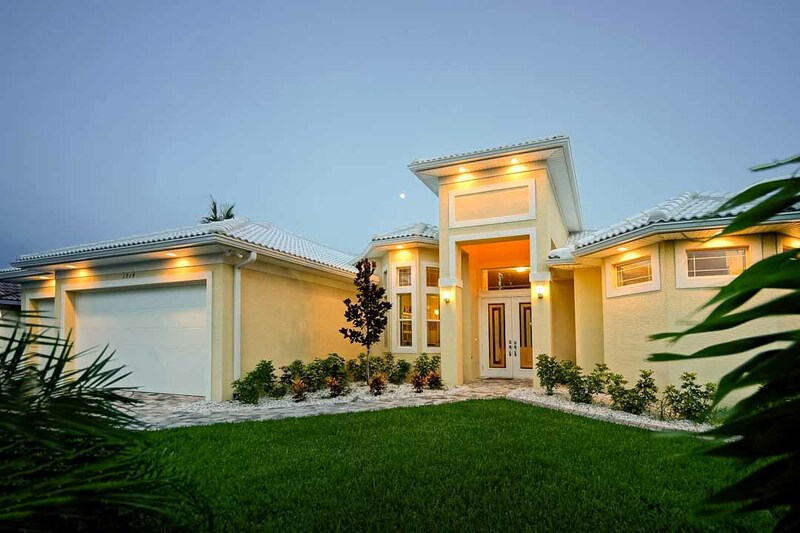 This Villa is all you need and more to enjoy a relaxing, fun filled Florida vacation. 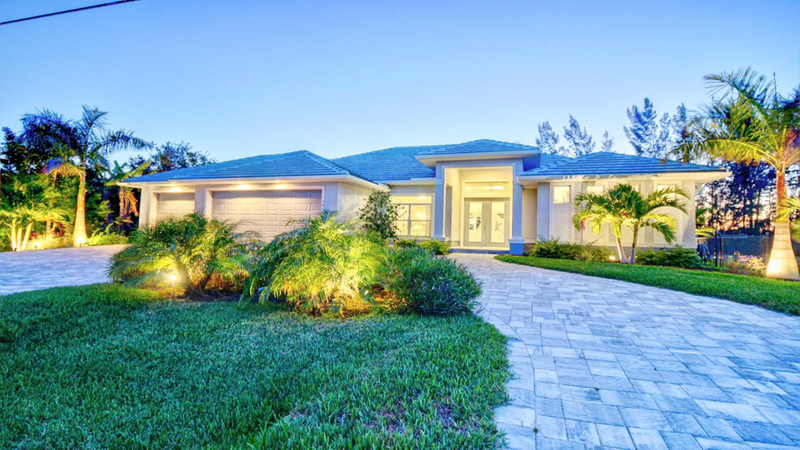 The formal living room is located at the front of the home with a set of turret-style windows, just off the two-story foyer that has all glass doors and large transom windows allowing for the beautiful natural Florida sunshine to illuminate the area. 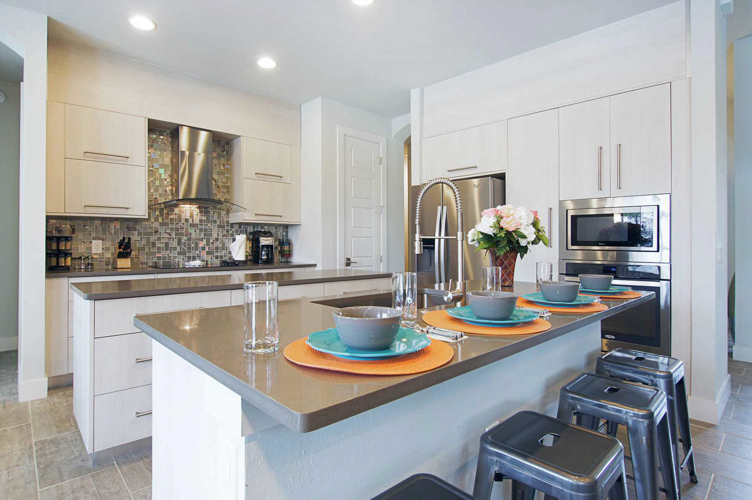 The kitchen boasts modern stainless steel appliances, granite countertops and a large center island, perfect for meal preparation. The open floor-plan allows for conversation from the well-appointed kitchen, breakfast area, and the den. The den offers a leather sleeper sofa and loveseat with an entertainment center and flat screen TV. 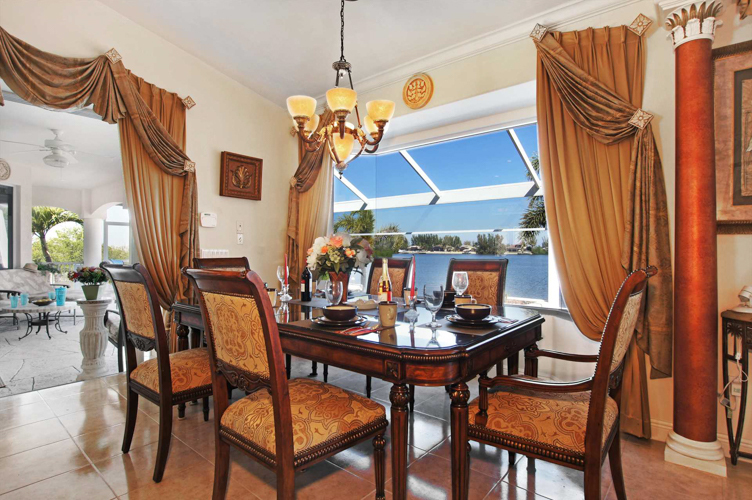 The elegant formal dining area provides seating for six. All four bedrooms are located upstairs. The master suite located at the back of the home and hosts a king size bed, full bath with a large soaking tub and separate walk-in shower. A guest bedroom with a queen size bed is also located at the back of the home. 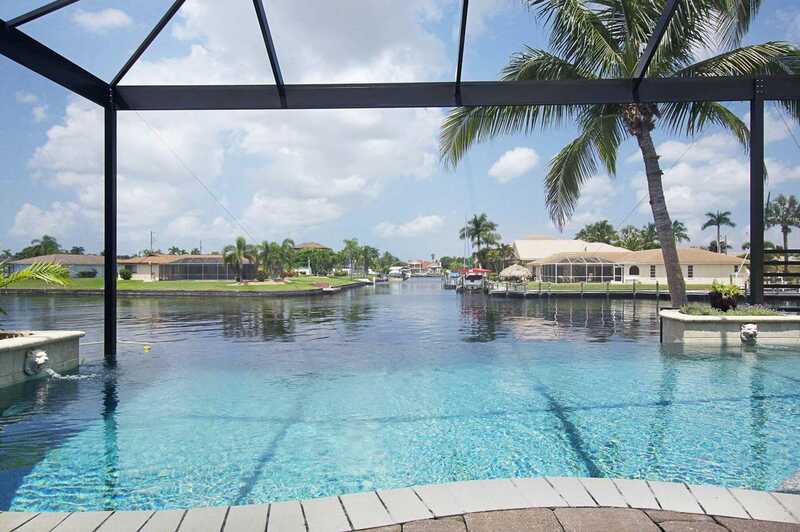 Both bedrooms open to a second story balcony enclosed within the two-story screened pool enclosure with sweeping views of the canal in both directions. Two more guest rooms are also located upstairs. One with a queen size bed, and one with a full-size bed. Three of the bedrooms are equipped with flat screen TVs. 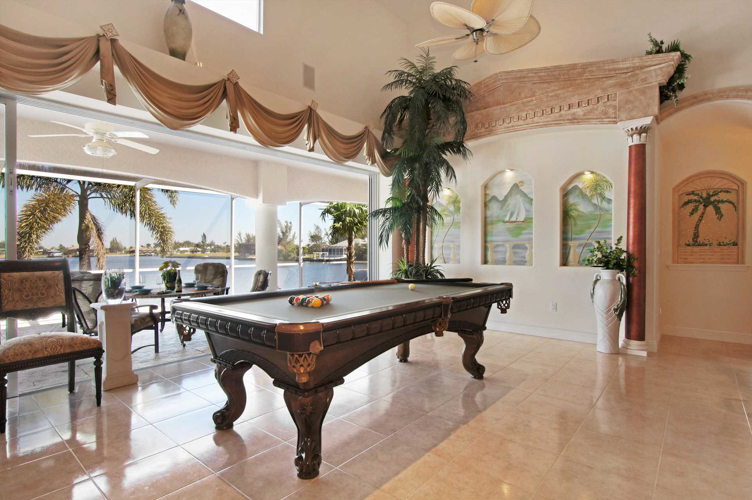 A game room complete with a pool table and flat screen TV is offered. A media room including a large flat screen TV and full wet bar is the perfect location to watch your favorite movie or sporting event. There is an open office area with many built-ins. All of these are also located on the second floor as well. 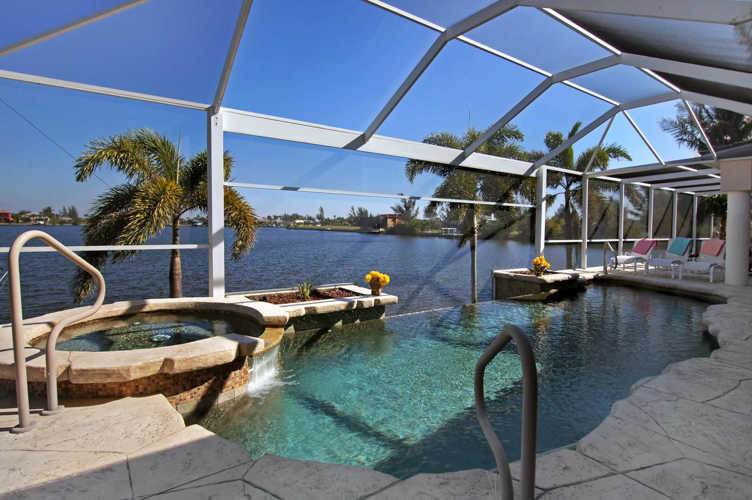 Several sets of glass sliding doors from the kitchen and den open onto the large lanai with an electric heated pool and spa. A dining area with a flat screen TV are also offered. In all, this home has 7 flat screen TVs located throughout. 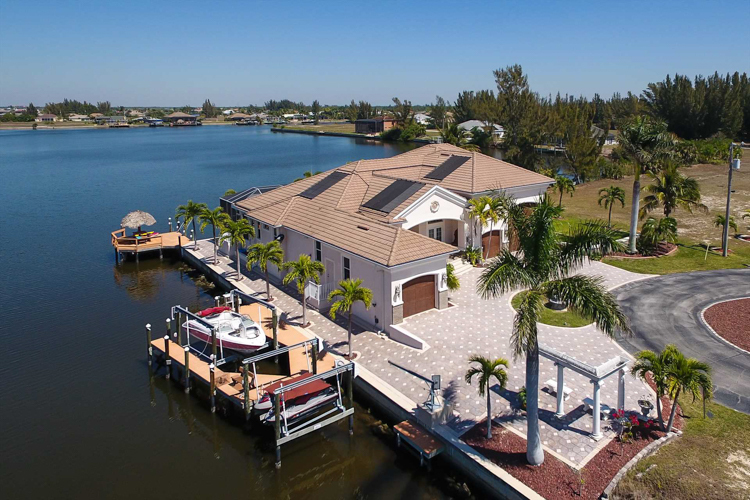 The boat dock offers a captain's walk and a boat lift. 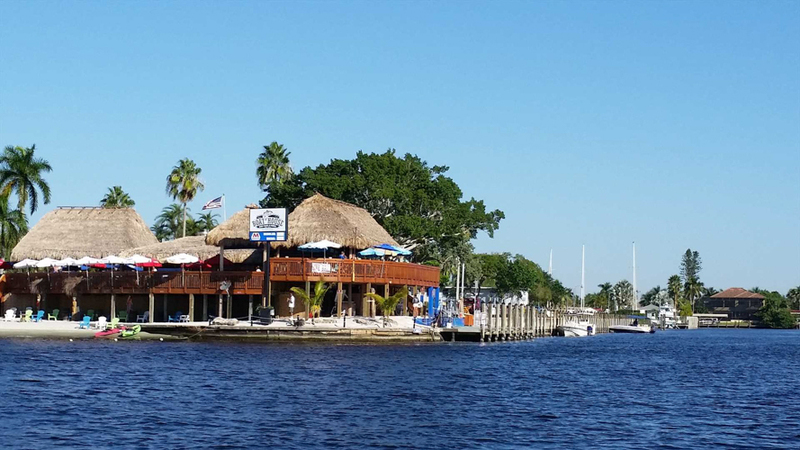 If you can't bring your own boat, you should know that we also offer a convenient and time saving way to rent a boat directly from us. 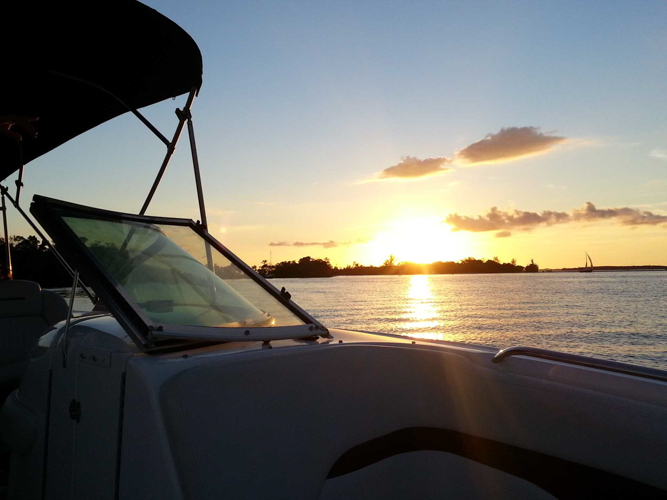 One of our licensed captains will provide you with detailed instructions including a short trip on the water under his supervision. 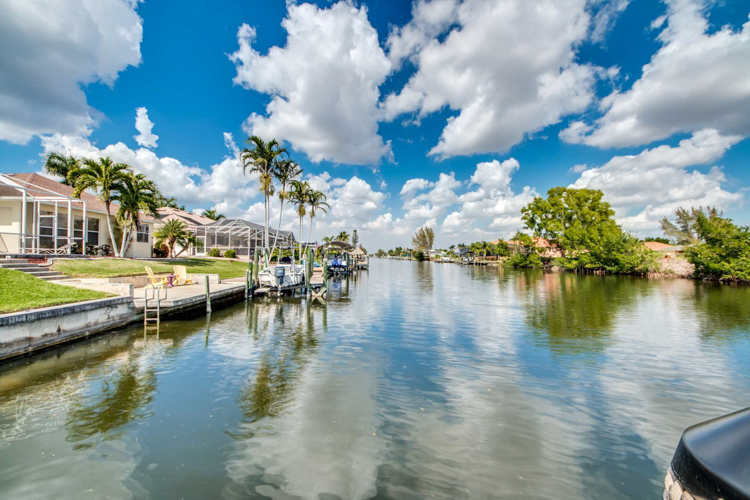 You will reach the warm waters of the Gulf of Mexico from Caloosahatchee River. The cruise takes you to the Gulf islands with their beautiful beaches and hidden coves. Enjoy watching the playful dolphins and large schools of tropical fish. Come and enjoy an unforgettable vacation in Florida. This two-story sailboat-access pool home is truly amazing. 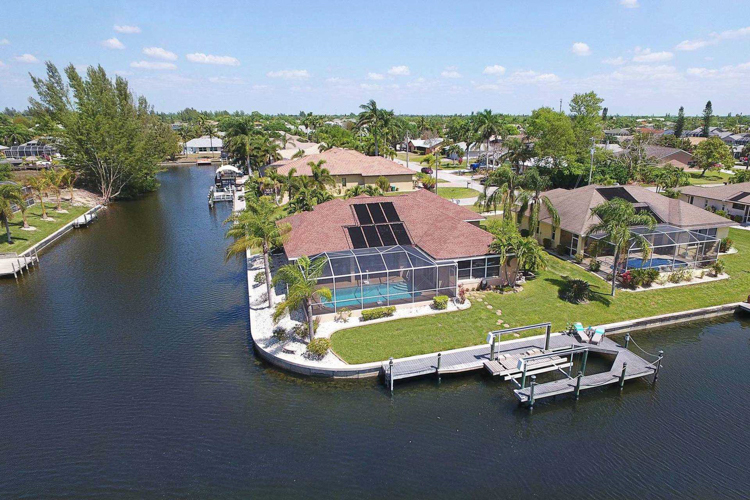 Located just off Bimini Basin straight out to the Caloosahatchee River. 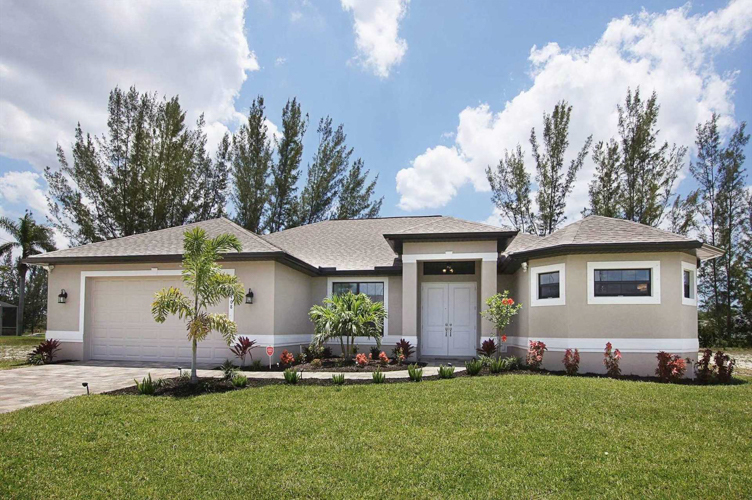 Villa Sienna is located in Southeast Cape Coral, minutes away from downtown Cape Coral with its amazing restaurants and shopping. The white beaches of Sanibel Island, Captiva and Fort Myers Beach can be comfortably reached from here by car or by boat. 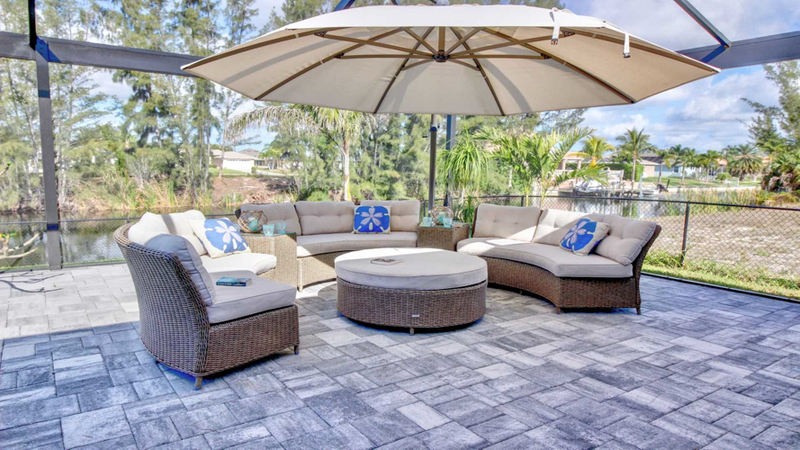 This Villa is all you need and more to enjoy a relaxing, fun filled Florida vacation.